For the latest in convenience, we are proud to offer these other helpful online services. Check back often for new services!! Over 5,000 shared branch locations nationwide. 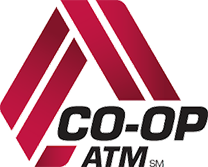 Find the Co-Op ATM closest to you. Tons of automotive information and purchasing a vehicle. Get a quote for pet insurance from Embrace. Credit Union Services has advice and information to help with the car buying process. Home Shopping Checklist to help you keep the details straight when you go shopping for homes. Enterprise Car Sales - Haggle-free, worry-free car shopping. Also, getting an auto loan from your credit union and buying a vehicle from Enterprise are two smart moves.